The Santa Ynez Valley is a year-round destination for relaxation and fun. 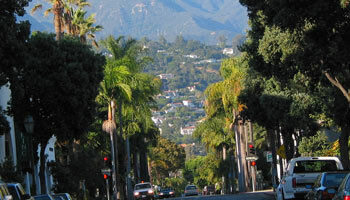 While each season is certainly special, we’re particularly fond on winter time in Santa Barbara. From wine tours to a party bus and loads to see and do, it’s time to ditch the winter blues and book a getaway to Santa Barbara. Here are just a few things to look forward to. The Santa Ynez Valley produces some exceptional wines for your enjoyment, and sampling is a must. The Valley is home to four American Viticulture Areas that produce over a million cases of wine every year. This month, you can look forward to the Wine Country Weekend over President’s Day. It’s a 4-day fun-filled event where you can visit 13 participating tasting rooms to try everything from library wines to divine appetizers. Don’t forget to book your wine tours in advance. Winter is a great time for exploration in Santa Barbara. Book a limousine and head off to Los Alamos in style, to explore the Old West heritage, try out the delectable food, and have a browse around the antique scene. If architecture is more your thing, there are plenty of old buildings to admire. Each year, Santa Ynez Valley holds a Restaurant Week, with restaurants throughout the Valley offering special, discounted pairings and 3-course tastings. This is a popular event for both visitors and locals alike. While most visitors come to the Valley to indulge in wine tasting, you can also get artsy while you sip. There are several art studios that offer painting while sipping throughout Santa Barbara. Delighting your senses with amazing views and delicious local wines is a sure-fire way to forget about winter, even just for a little while. It may be winter, but in Santa Barbara, you can still grab your crew and head off for a night out with a one-of-a-kind experience. Book a party bus or limousine through us and head off in style to explore the nightlife in the Santa Ynez Valley. Exploring Santa Barbara is hassle-free, fun, and sure to warm you up this winter. Don’t worry about getting around, Silk Road Transportation has you covered with chauffeurs, party buses, and limousines to suit your needs. Call us today to book your package.